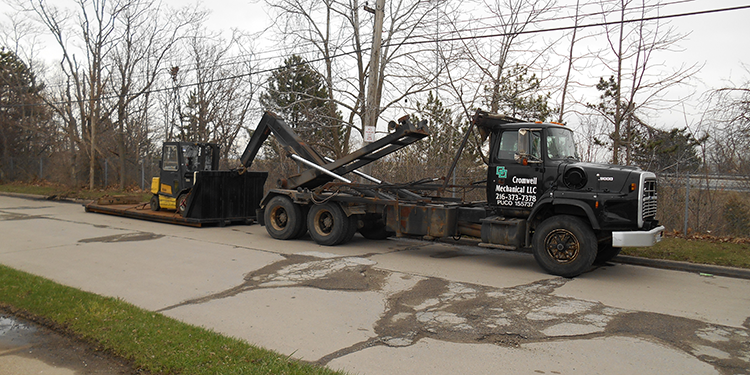 All equipment is owned and operated by Cromwell Mechanical to expedite service to our customers. 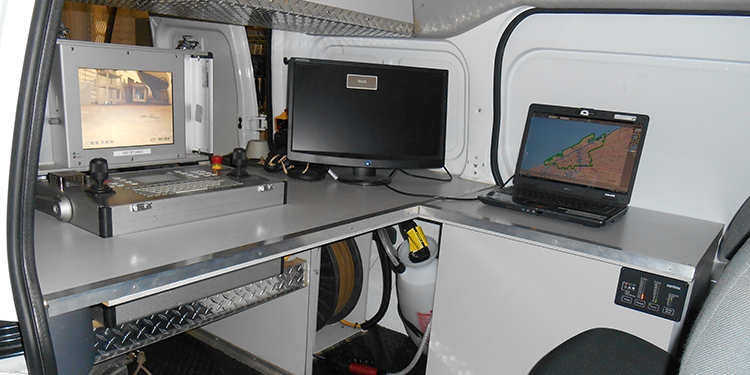 Our sewer truck is operated by two experienced and knowledgeable journeymen plumbers who understand what your pipes look like underground. We have a large inventory of cutting heads to accommodate a wide variety of blockages and can reach up to 1,200 feet. Call 216-373-7378 for more information. Our 25 yard Dragon Vacuum Roll-Off Container is used for annual maintenance of your acid neutralizing tanks and spill cleanup. Cromwell Mechanical is committed to protecting the environment and will respond immediately to calls for hazardous spill cleanups. Our Kubota U35 excavator has a digging depth of 10 feet to reach your problems today; no waiting for a subcontractor tomorrow. 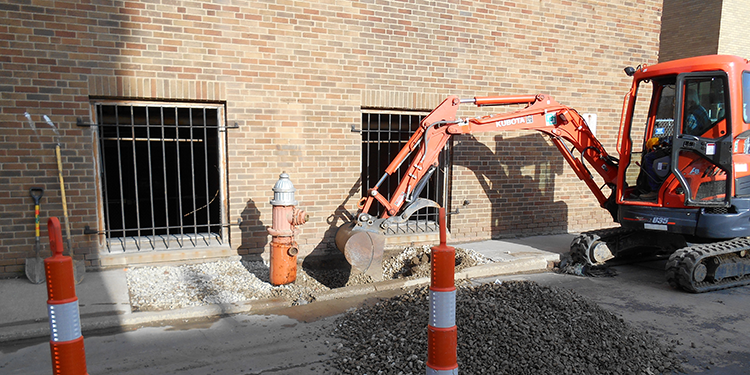 Excavator travels with a hydraulic hammer and complete inventory of shoring. 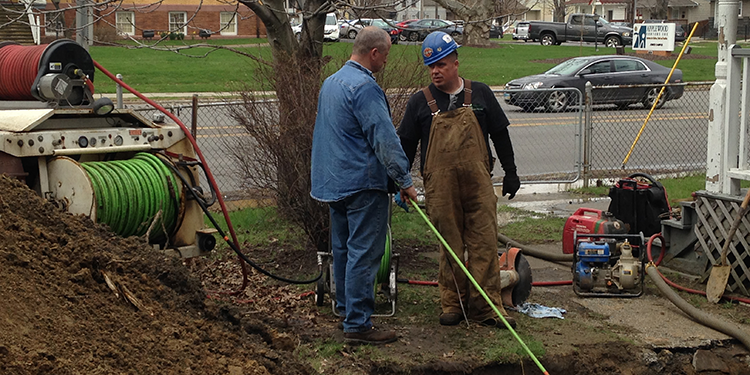 For information on chemical grouting and soil stabilization, please click here. 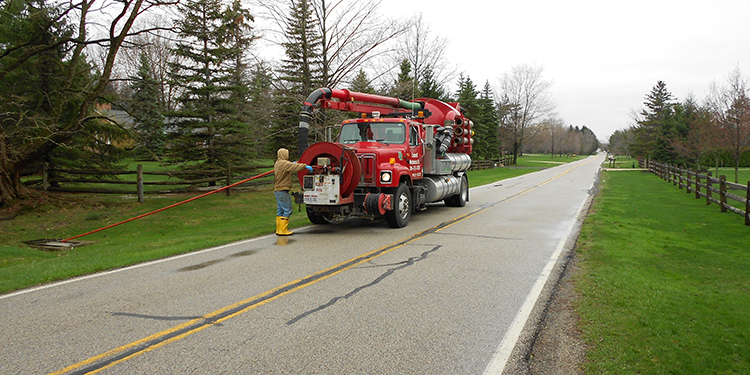 The Harben Trailer Jet produces 4000 psi and 18 gallons per minute with 600 feet of half-inch hose to reach any of your problems. We have a Kubota utility vehicle to transport the jet across your landscape without damage or into your low-clearance parking garage or other structure. 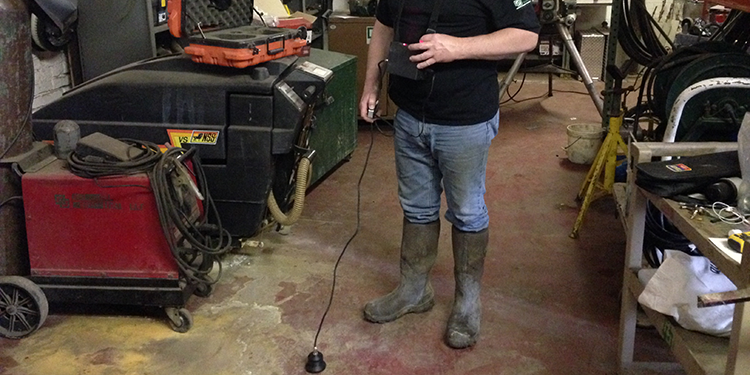 Water leak location system for accurately detecting where the leak is to minimize the guesswork. 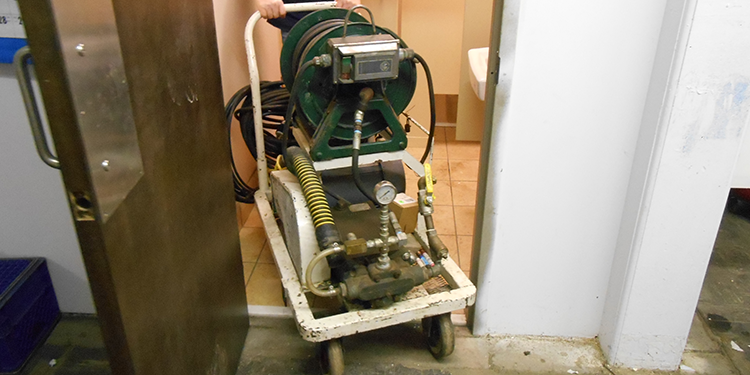 Our portable jet and vacuum can fit through doors and onto elevators to service difficult to reach areas.